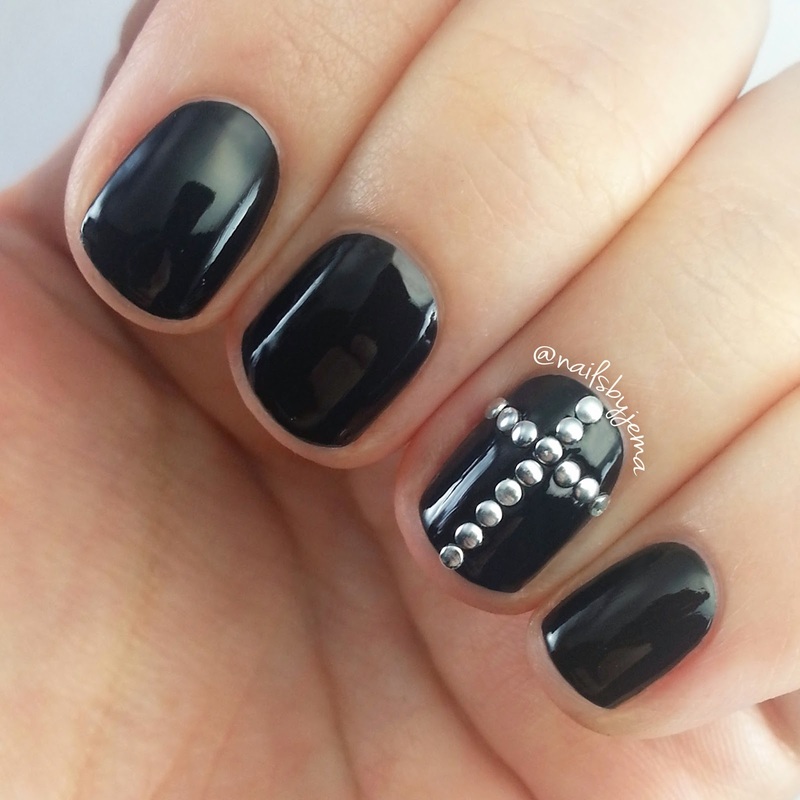 I had a spare 20 minutes today so I did a quick mani with my favorite black polish ever, OPI 'Black Onyx'. It's the perfect one coater if you apply it the right way. I used these 3mm studs from eBay and placed a cross on my ring finger and thumb using a wax pencil. It's really simple, took 10 minutes to do both hands. Rocker chic!